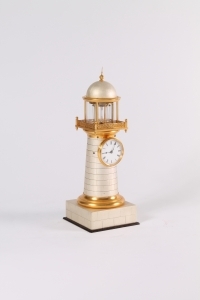 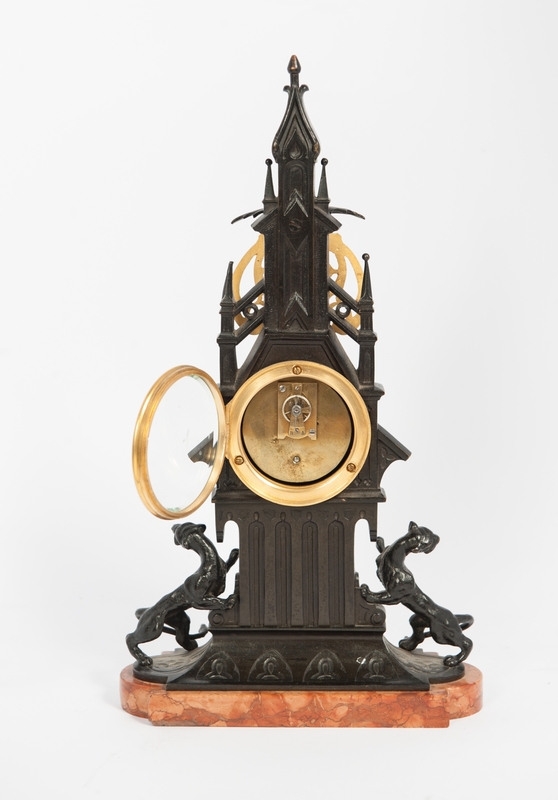 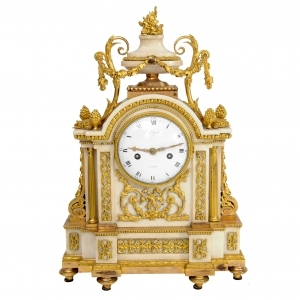 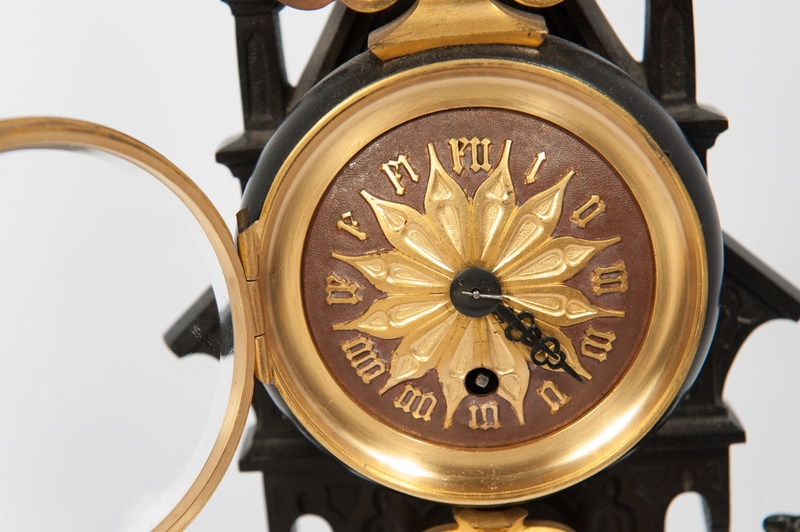 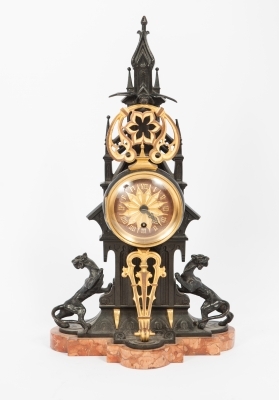 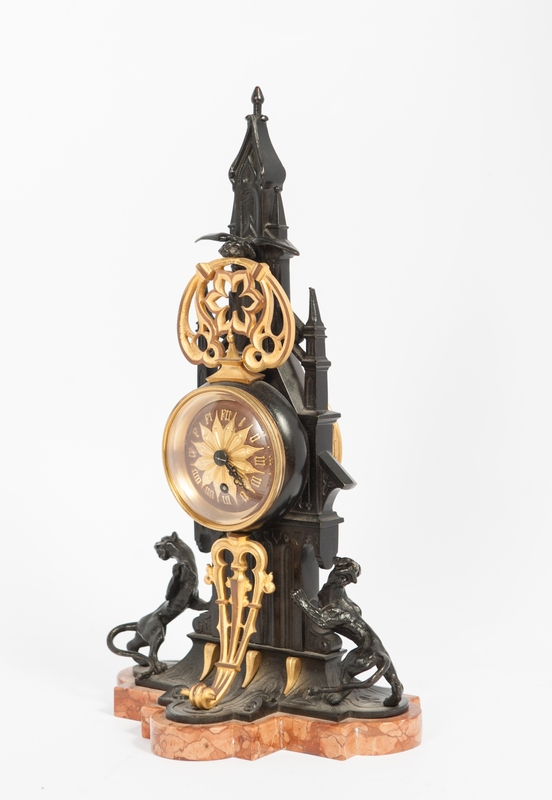 A French gilt and silvered lighthouse timepiece with duplex escapement, circa 1850. 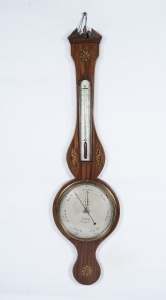 A good English mahogany inlaid wheelbarometer by L. Giannal Salop, circa 1820. 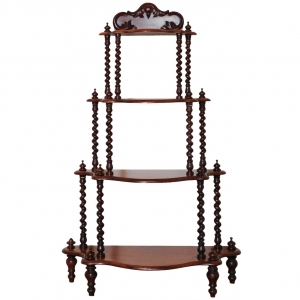 Nice and good looking étagère side table from Holland.